Computer Backup - Workstation is an advanced and reliable data backup &amp; system disaster recovery software for business desktops and laptops. It offers maximized data protection and ease-of-use. 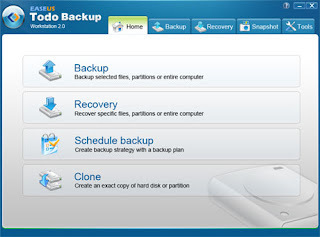 With this cost-effective Computer Backup & recovery software, users can perform self-service backup operations like creating an exact disk image of your business workstation, backing up entire operating system, applications, and all data.